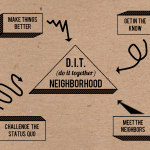 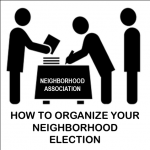 The following guide will help you run a successful neighborhood election. 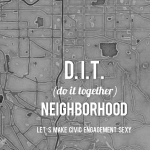 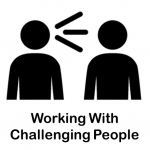 It covers everything from outreach and agenda setting to voting and follow-up. 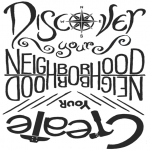 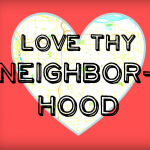 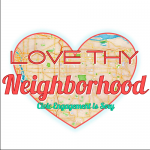 This postcard template advertises neighborhood association elections using the theme of “Love Thy Neighbor” on a red background.